LOWEST PRICED FOUR BEDROOM, THREE BATH IN POPULAR BINKS FOREST HIDDEN CREEK! 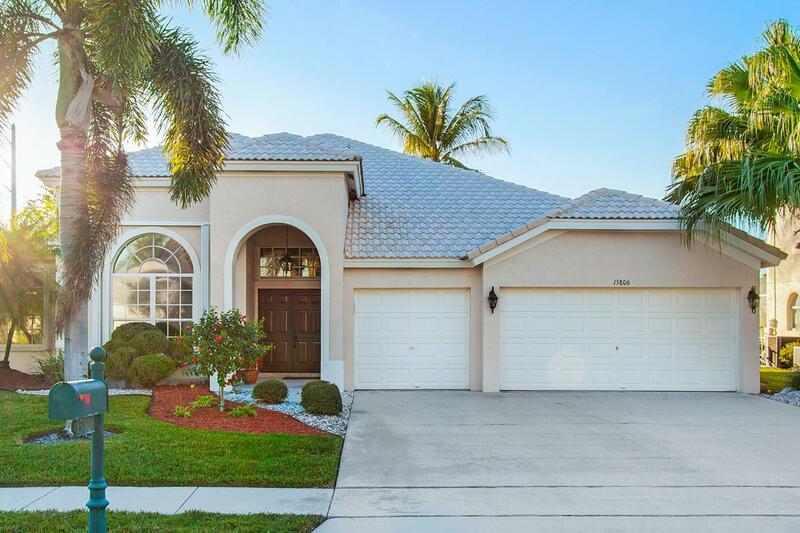 THIS STUNNING SINGLE STORY HOME WITH A 3 CAR GARAGE IS MOVE IN READY, HAS BEEN METICULOUSLY MAINTAINED AND IS SITUATED ON OVER A QUARTER OF AN ACRE THAT HAS BEEN PROFESSIONALLY LANDSCAPED. LOCATED IN A GATED COMMUNITY, THERE IS AN EXCEEDINGLY LOW HOA FEE AND NO CAPITAL CONTRIBUTION IS DUE AT CLOSING. THE PROPERTY IS ALSO ASSOCIATED WITH WELLINGTON'S HIGHEST RATED SCHOOL SYSTEM. THIS AMAZING HOME BOASTS NEW STAINLESS STEEL APPLIANCES, QUARTZ COUNTER TOPS AND A CENTER ISLAND IN THE GOURMET KITCHEN. THE PROPERTY HAS A COMPLETE SET OF ACCORDION SHUTTERS & THE FRONT DOORS ARE RECENTLY STAINED. OTHER FEATURES INCLUDE NEWER A/C, HOT WATER HEATER, CARPET AND GARAGE DOOR OPENERS. SELLERS ARE OPEN TO A QUICK CLOSING.